When one hears the glorious thwack of bat against ball and lifts his eyes to track the flight of the ball as it soars over the opponent’s fielders to bring in the run, sealing victory against the rival school in the National Championships final, the crowd erupts in cheers all-round. Amidst this atmosphere, one cannot help but feel a warm sense of elation and pride at being a part of Raffles Softball, just like countless generations before us. 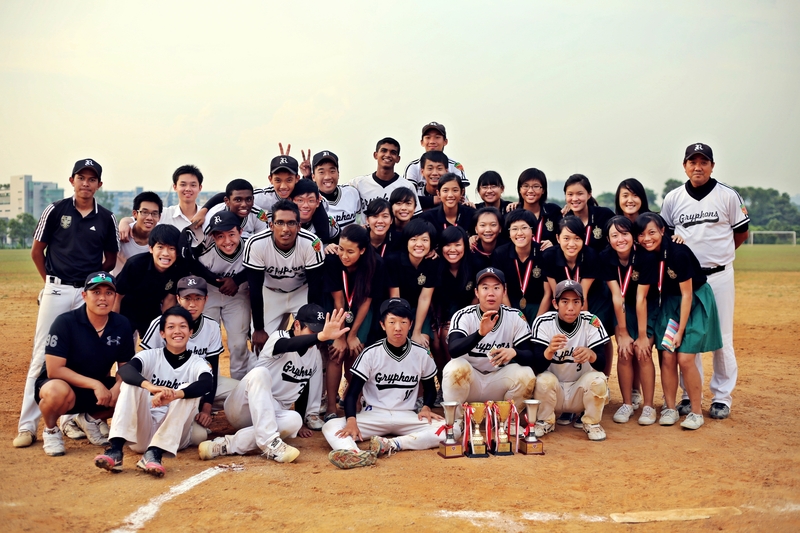 Raffles Softball has, over the years, shown our mettle by participating in numerous competitions. 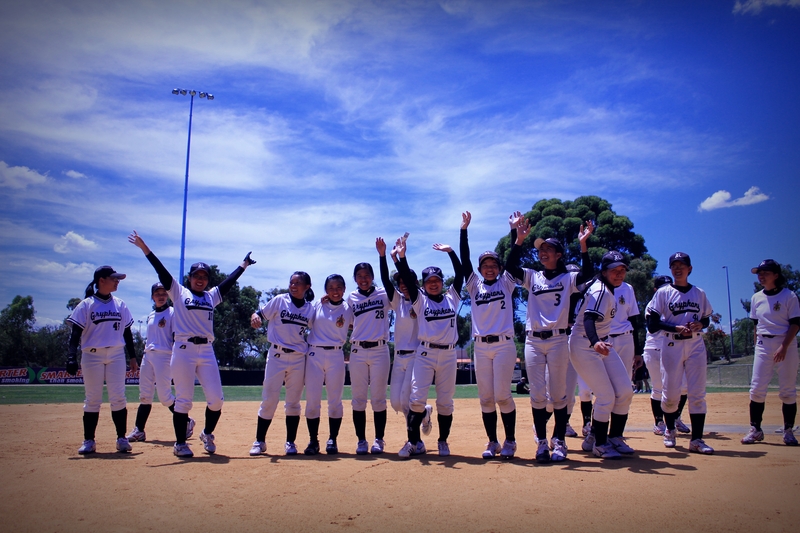 Even though the sport we play is called softball, we play it hard, and thus boast an illustrious history of victories. The ‘A’ Division boys have wrested the National Schools Championship title away from our opponent schools consecutively for the past 2 years. The ‘A’ Division girls are no different, bringing home the title last year. We also have a fine tradition of producing high calibre players who represent Singapore in the Singapore Schools and National Youth teams on the international level. Upon joining this sport, one can look forward to annual training trips to Australia, Taiwan, Thailand, Malaysia and beyond. 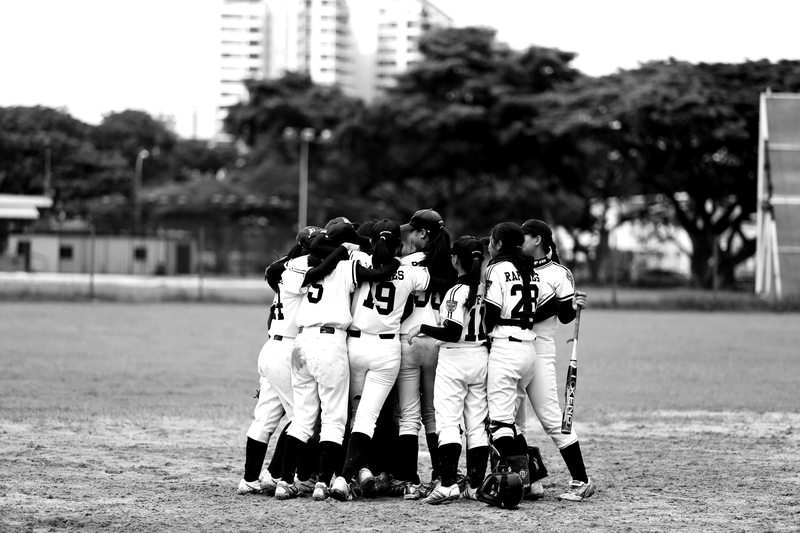 Every softballer can expect all-year round activities such as bonding camps and various tournaments including the annual National Inter-School Softball Championship, SRC-SBSA Softball Carnival and AIA-SBSA Kallang Softball Open. Having said that, it is not the medals and trophies that define our CCA. Countless training sessions and competitions have knitted us into a tight family. As many of our players would agree, the softball diamond has become our second home, and we look forward to every single training session because of the time spent with our teammates. Having coached both the Year 1 to 4 and Year 5 to 6 teams for over 20 years, Coach Nelson has been a fatherly figure to many of us. Not only does he coach us on the field, he imparts important life values. “I do not want a good ballplayer, I want a good person,” is a line that Coach Nelson repeats regularly. As a CCA, that is something we all strive towards. If you have any experience in playing softball or are currently thinking of picking up this sport, hesitate no more in being a part of this family. We welcome you to join us, and in no time we will have you playing for the gLOVE of the game!